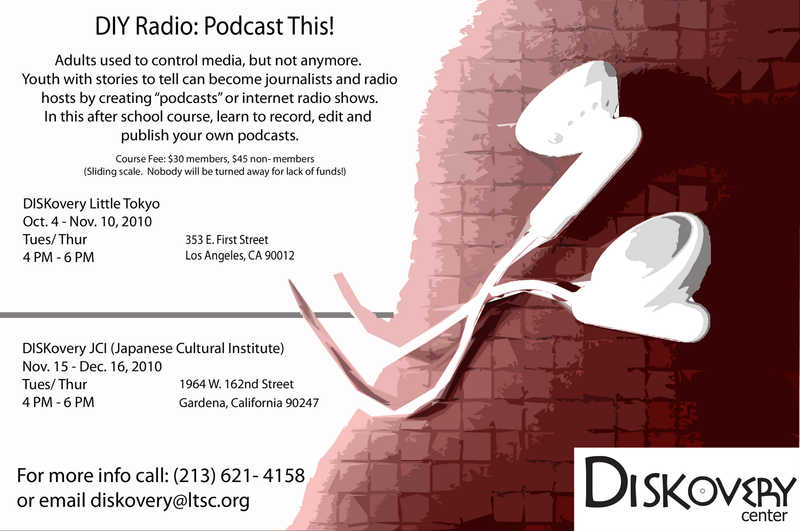 Registration will soon begin for DISKovery Little Tokyo's next session of classes, including a pilot class for youth, DIY Radio: Podcast This! See the following flier for details! For those in Gardena, we'll be holding this class at DISKovery JCI in the winter session, so stay tuned! DISKovery Center Little Tokyo Fall Schedule! Yelp Passport to Little Tokyo, this week!